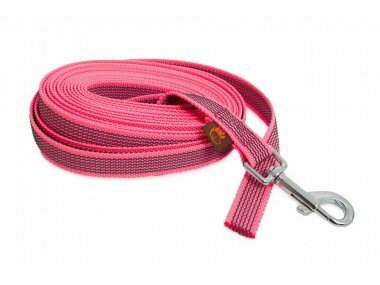 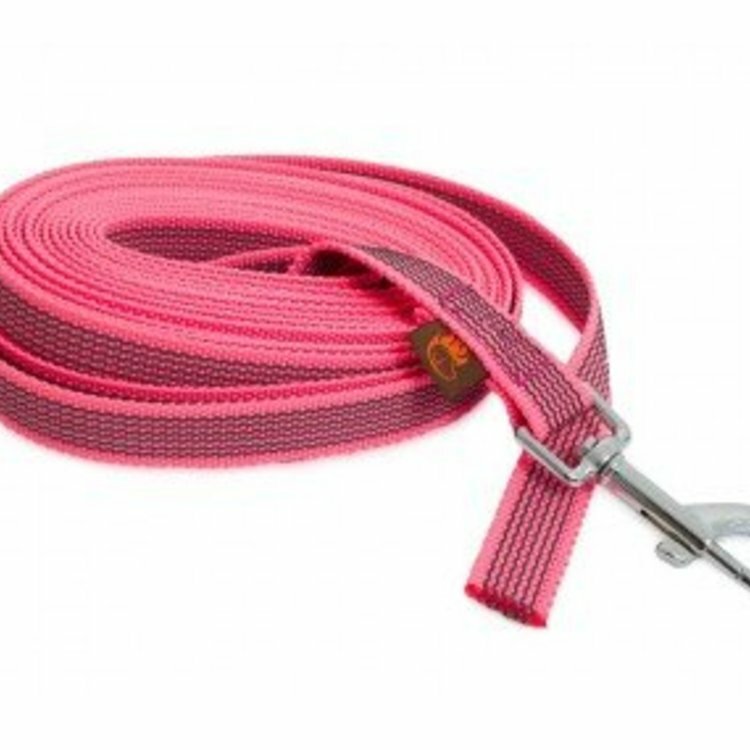 Tracking leashes belong to the basic equipment for dog training - they are suitable especially for the training of recall, as well as for rapid behavior corrections. 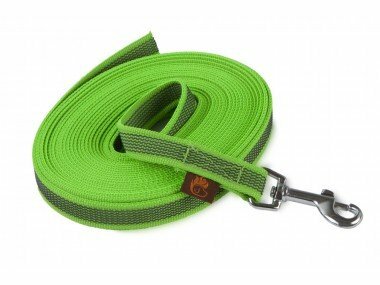 Even when walking in the area where dogs have to be on the leash, it offers enough freedom in movement to our four-legged pets. 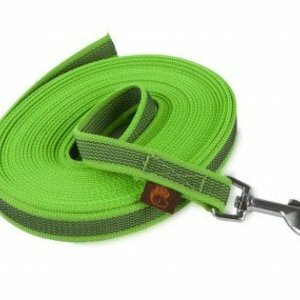 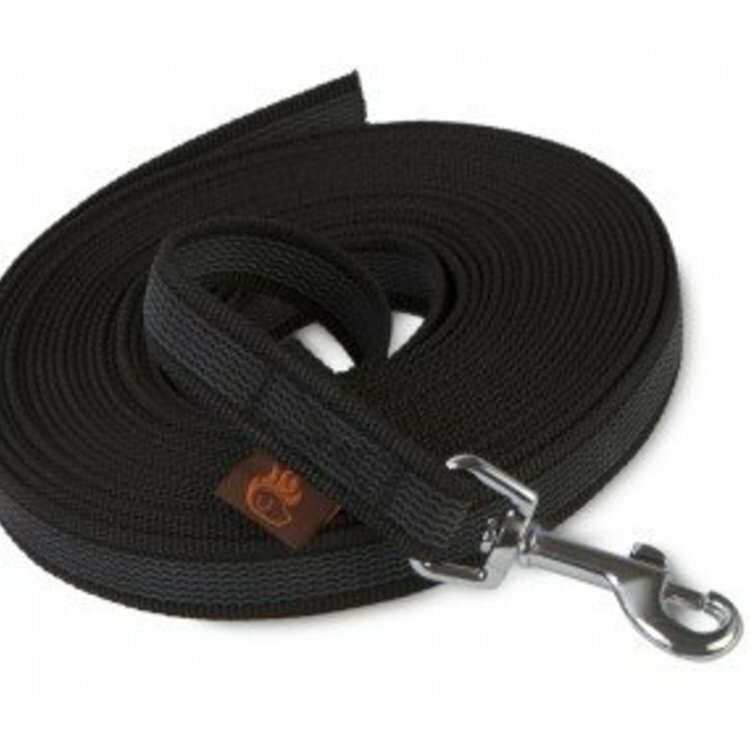 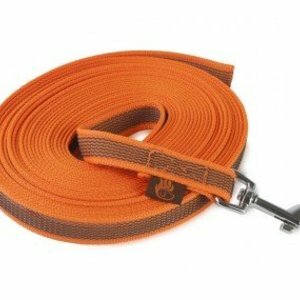 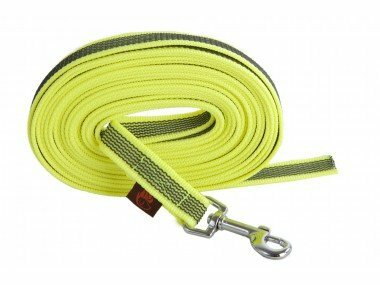 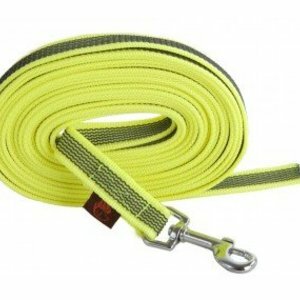 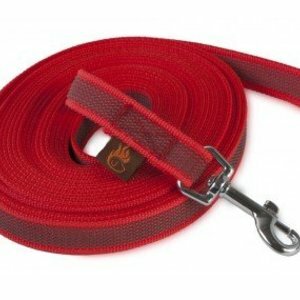 This leash is made of resistant and lightweight nylon characterized by special anti-slip surface. 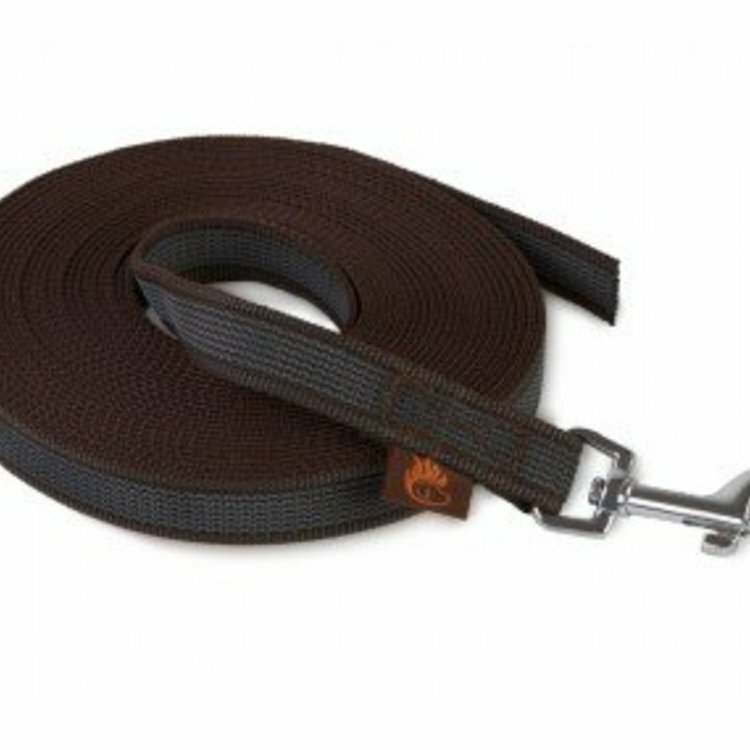 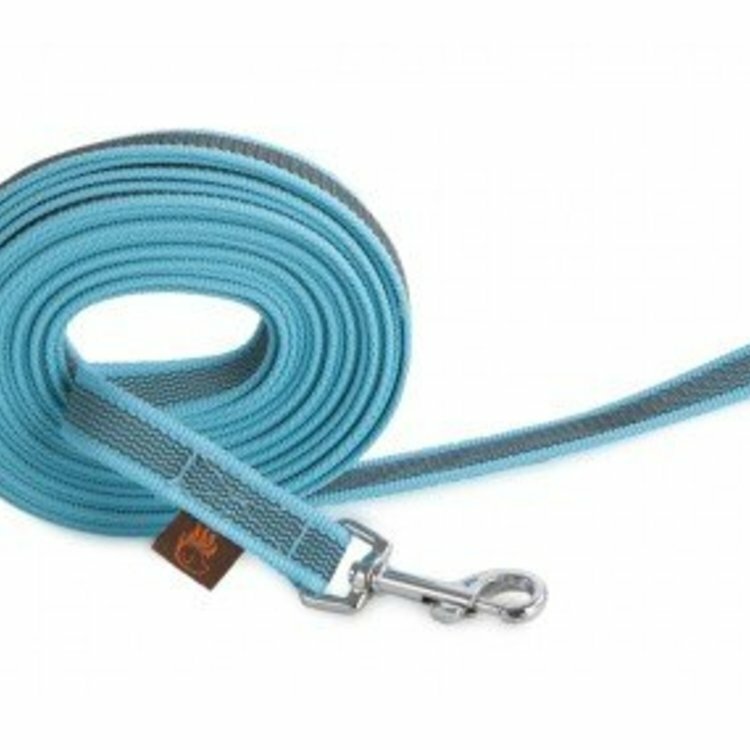 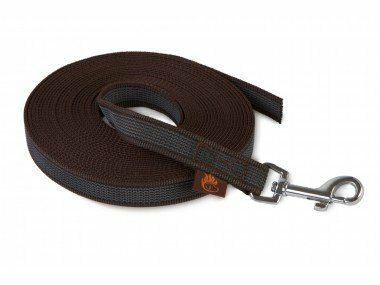 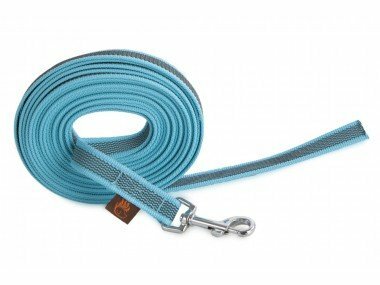 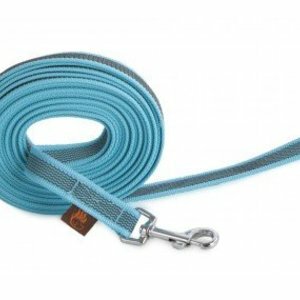 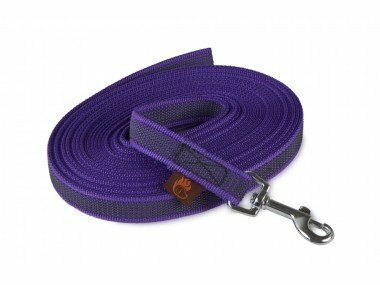 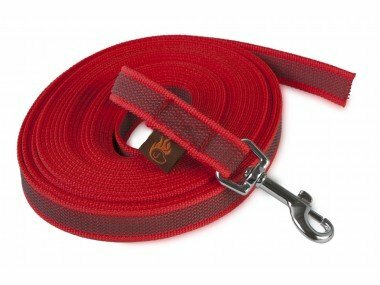 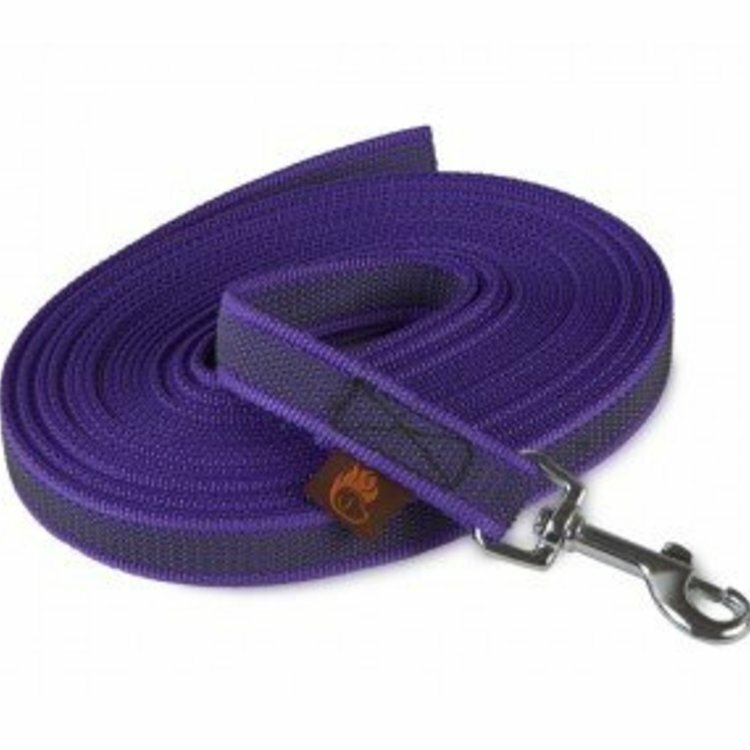 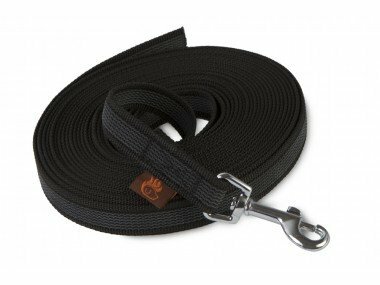 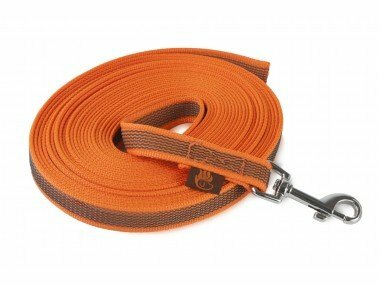 Rubber threads on both sides prevent slipping in hands and make this leash ideal for walks or training in rainy weather. 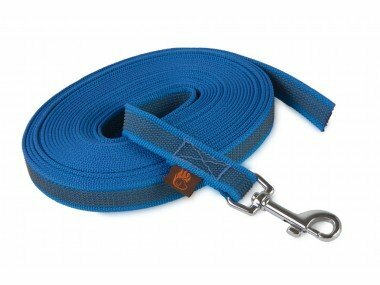 The leash fits firmly in hand and ensures easy and safe handling. 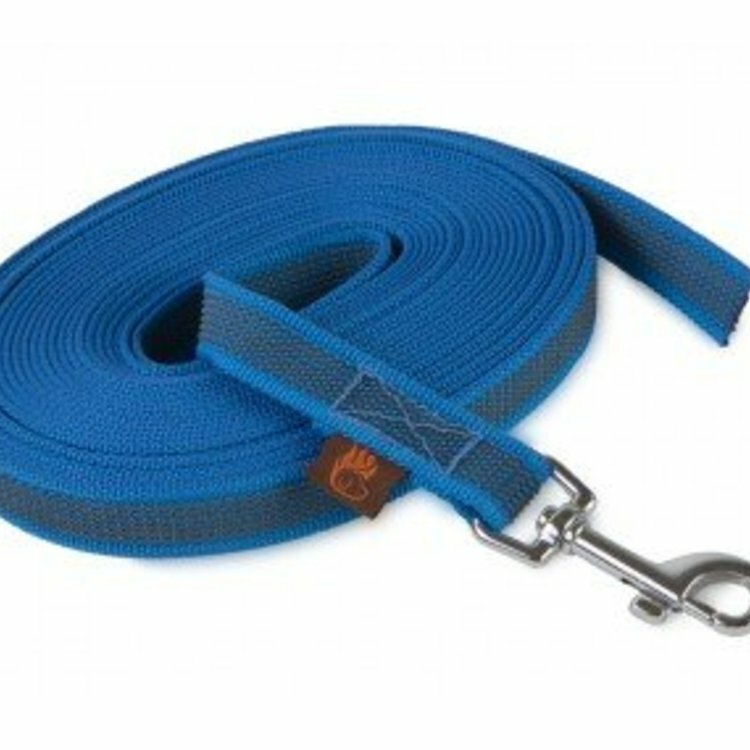 It is finished with a strong snap hook.